Exodus has moments of beauty and potential greatness, thoughtful on so many levels. But Bale is no Charlton Heston. 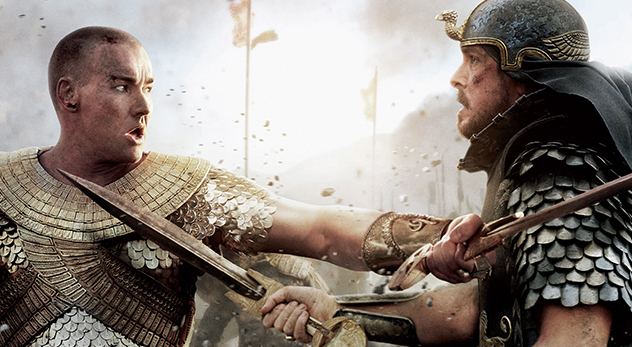 Exodus: Gods and Kings lacks the pizzaz and joy of the original Ten Commandments. Prince of Egypt may not have had a doe-eyed Aaron Paul but at least it never diminished the miracles by making Moses the God-whisperer and attempting to explain the plagues scientifically: alligators, so blood, so frogs, so flies, etc. False beliefs prevail in Biblical films of late. The heroes must be A-listers, never mind the fluctuating accents, as long as they can wield a blade and train the peasants to retaliate. 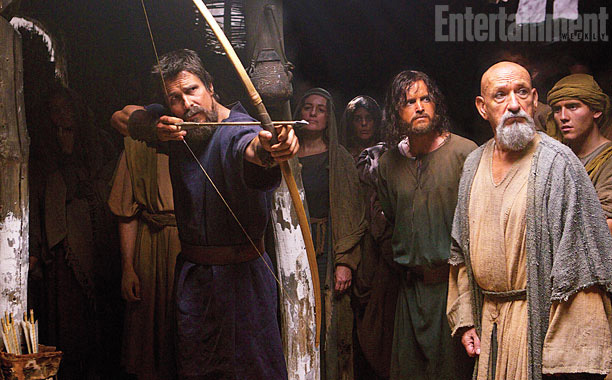 Why would God bother to intervene when Christian Bale or Russell Crowe can lead an army? I shouldn’t be surprised that so many renowned directors, like the brilliant, detail-driven Ridley Scott would look to the Greatest Stories Ever Told in the Bible for great screen fodder. To grasp the immortal seems the quest for most Hollywood greats. The gods of myth thought that eternal life is for those who live on in legend. Stories live on, so they must work as conduits…flux capacitors for a new age of inventors who visualize and create widescreen and digital IMAX. Some also sadly believe that special effects will cover any sub-par plot points or dialogue, or anything that the filmmaker thought too potentially religious. Visual accuracy over biblical. 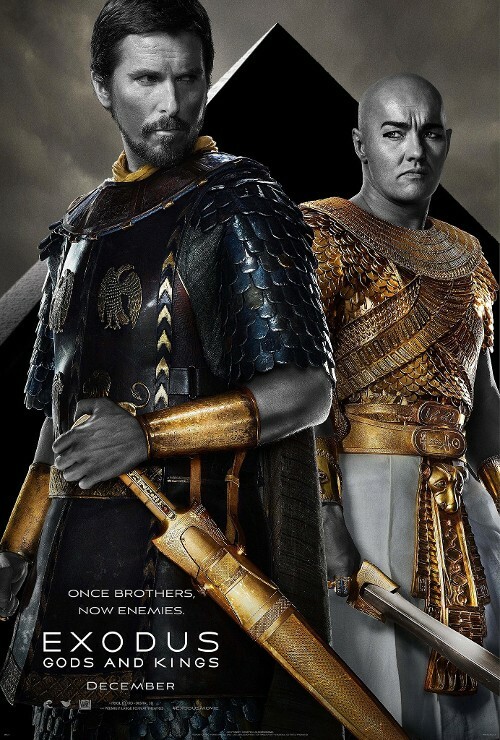 The Pharaoh can look like he grew up in Texas as long as he cuddles with Cobras and paints a mean eyeline. Egypt is sepia toned, to color the Caucasian cast. And the wilderness a Prometheus blue. The burning bush burst into a less than stunning blue flame. I’m sorry to say, it’s not the biblical inaccuracies that tanked the multi-million dollar project. It was…boring. Slow and unsteadily paced. It lags so desperately that in the end you almost hope the Red Sea will take them all. But they cross…waist-deep, then the armies drown in a tidal wave. Many Christians cry and run from theaters over these kinds of oversights. If only the same crowd of movie goers would cry over poorly made films in the B-genre known as Christian films and seek to correct the problem with excellent filmmaking. The Bible will continue to provide a wellspring of stories. The era of Bible-based movies will continue. So many filmmakers and viewers alike continue the search in a bottomless grave looking for a frozen Savior who they hoped would come to save the world. They have yet to find that He is risen. He is risen indeed. This might be the worst film I saw in 2014. It’s just so bad. Nice review!